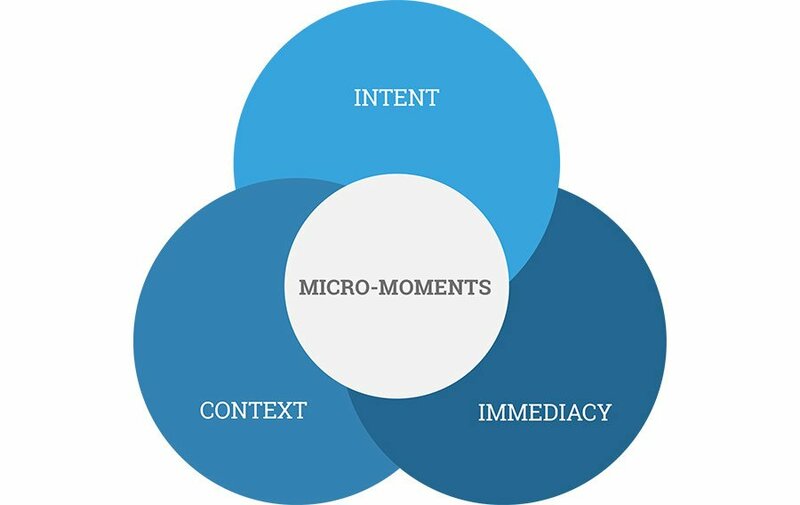 Micro Moments are the Future of Marketing – Are You Ready For It? – We live in a mobile-first world: In an average day, more than 1/4 of all users only use a smartphone, which is nearly 2X as many as those who only use a computer. – We freely move back and forth between devices to get things done: Over half of users rely on more than one type of device in an average day, with 1/5 of them using another device while concurrently using a computer. – Where we are influences how we use our devices: The top three places people use their smartphones are home, work, and in a store. – Search has gone mobile: Of those who search, nearly 4 in 10 search only on a smartphone in an average day. – The web is one of our most used resources: Of those who browse the web in an average day, almost half do so on multiple devices. More than 7 in 10 users browse the web on their phones or computers in an average day. A micro moment is an intent rich moment when someone turns to the mobile device in order to know, go, do or buy something. Marketers need to capitalize on such mobile micro moments so that they are able to effectively connect with the needs of the target audiences. I want to know moments: When someone is searching for more information related to a product or service. This is the preparation mode when the customer is preparing to buy at a future date. I want to go moments: When someone is looking for products or services nearby from a local store. The customer often searches for the availability of products before they visit the physical store. Optimizing for such moments is an absolute necessity for local physical store owners. I want to do moments: These moments happen when someone is trying to do a particular task like preparing a chocolate cake. I want to buy moments: These moments happen when the customer has finally made the decision to buy. They simply need the help in deciding what to buy and how to buy. Be there: Brands must make proper use of content marketing in order to remain present before the target audience whenever any micro moments happen. For example, any group of target audience searching for “how to take care of a Rottweiler puppy” should find your brand if you are selling dog food. This will educate your target audience and you shall be able to build trust in the minds of the consumers. Be useful: Do not sell often, instead help the users. Selling should happen automatically and should not be the only target. We are living in the era where the purchasing power is resting in the hands of the millennials who resists brands that try to sell products directly to them. Instead, help the users by content, infographics, images, videos, podcasts and provide answers to their questions. Once they connect with your brand, they will automatically get converted sooner or later. Be accountable: Create a seamless experience across a wide range of channels like organic traffic, paid traffic, social media, offline media, mobile channels etc. The consumer should be able to locate your brand no matter whatever channel they are using at the moment. Track your success in every medium and constantly try to optimize your brand performance. 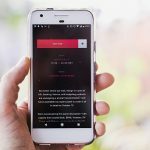 – Optimize your site for mobile and opt for AMP: To improve the overall experience of the users, it is recommended to deliver fast, relevant, and assistive experiences. Switching over to HTTPS, creating AMP pages and making use of CDN are some of the ways to improve the user experience. – Enable personalization at scale with smart automation: Make use of big data and AI to better understand the behavior of the consumers. Use smart marketing automation tools that helps to enable personalization at scale. 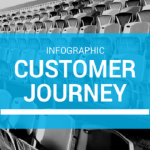 Your brand’s focus should be to connect the first-party data to media execution in order to generate success. For example, people are more keen to make searches related to health, parenting and beauty using their mobile devices. – Embrace omnichannel assistance: Not only online, your brand should be able to provide a seamless experience across all channels and mediums in order to remain present with the customer throughout the customer journey. Hundreds of micro moments happen during the day and people are constantly turning to their mobile devices in order to find answers to their questions and solve the problems. There are more opportunities existing for the brands than ever and it completely depends on you to capitalize on such micro moments and be successful.